One stumble does not define or break a person. 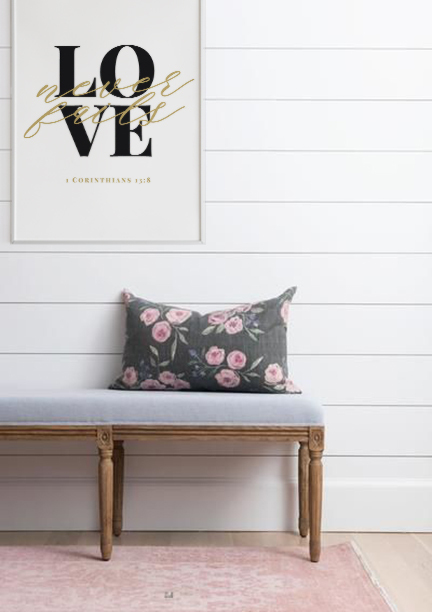 Though you failed, God’s love does not. Face your failures with faith in God’s goodness. 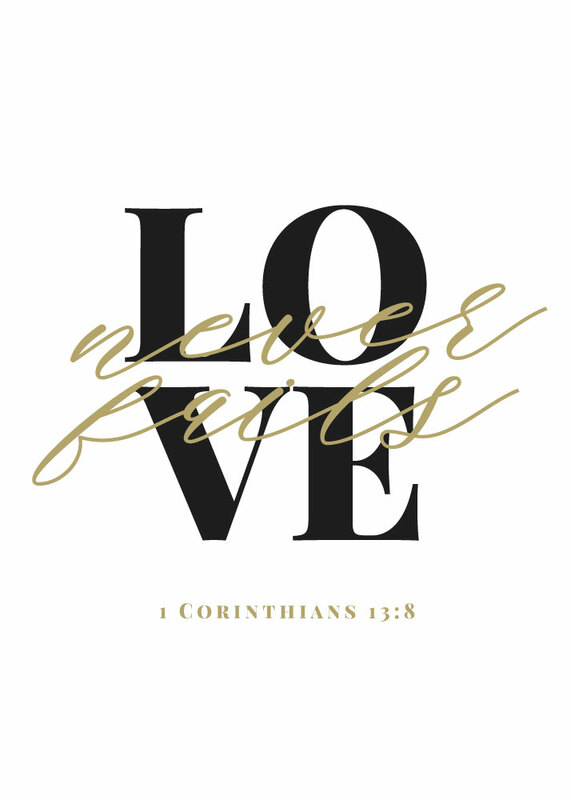 1 Corinthians 13 is sometimes called the Bible’s Chapter on Love. It is a beautiful description of God’s definition of love. When we are motivated by love of the other person and are not seeking our own comfort, our actions will be characterized by love without fail. 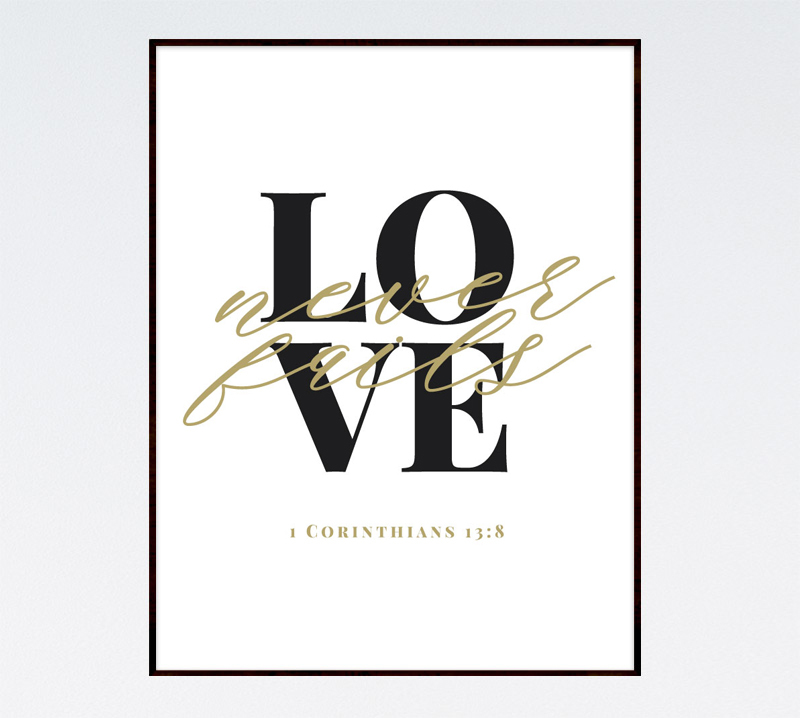 Let this 1 Corinthians 13 print be your reminder that Love never fails.